The following piece of goofiness is inspired by a today's news that the Walt Disney Co. is looking to hire 1,000 military veterans. 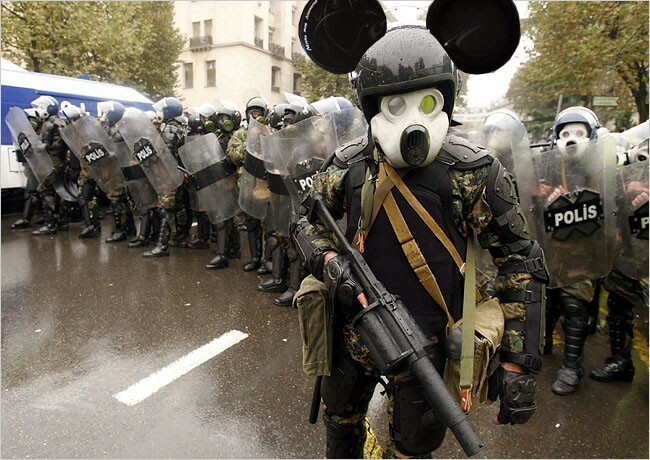 Apparently, the Mouse needs a few, good Combat Imagineers to update its theme park rides with a Global War on Terror flavor. It's a small war after all, it's a small war after...it's a small small war. It has been almost a year... did Disney hire 1000 veterans ?